Premium protection and long-lasting standard features. What more could you want from the best enclosed cargo trailer? The Journey SE 8.5’ wide enclosed hauling trailer was built to help keep your equipment dry and in the condition you found it in — mile after mile, year after year. The Journey SE’s aluminum exterior provides the durability you’ve come to expect from a Pace American. A powerhouse to transport your goods, this trailer has the backing of Pace American’s quality engineering and limited 3-year warranty. There are also plenty of features for on-the-road protection, such as automotive undercoating, safety chains and ATP fender flares. Still not satisfied? LED tail and clearance lights, aluminum framed doors, spring axles and 15” Radial tires that come standard on every size should help do the trick. 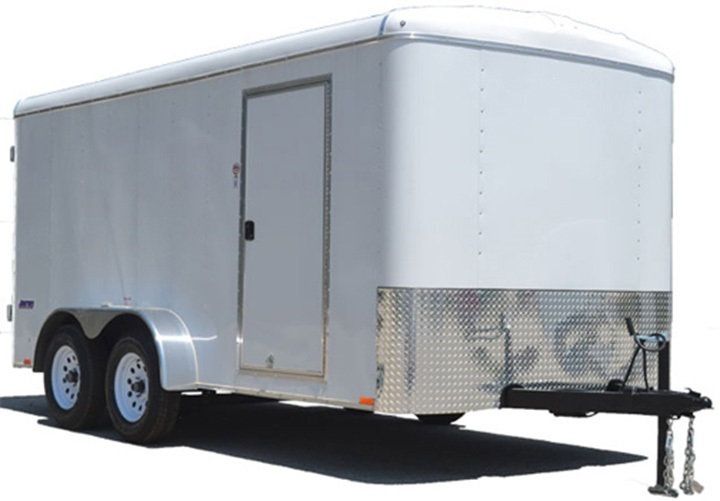 And, taking your Journey SE 8.5’ wide enclosed hauling trailer to the next level has never been easier with all of the available options, like a ramp door upgrade that includes a 4’ beavertail, torsion axles, aluminum rims and a white vinyl ceiling, for starters.